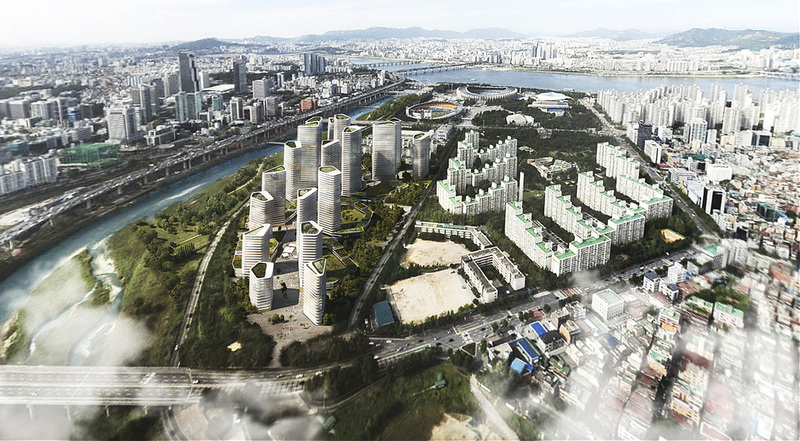 For an invited architectural competition, AllesWirdGut developed a design for a 3,000-unit residential quarter in the South-Korean capital city of Seoul. 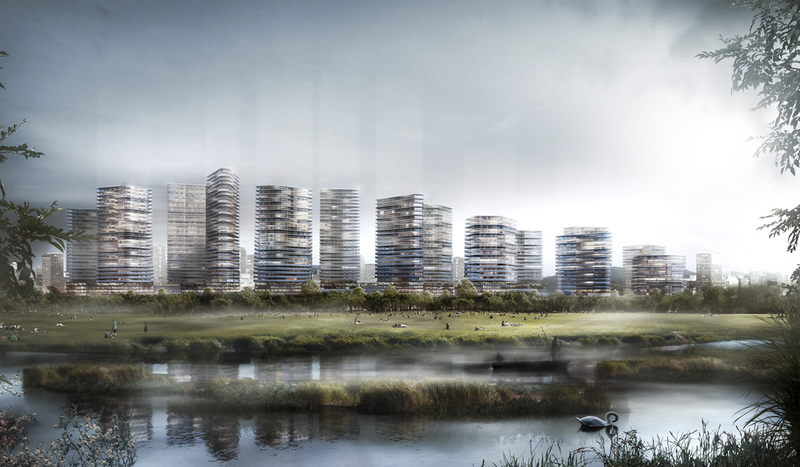 The proposal for the 120,000 m² area situated in a privileged waterside location is for a development of 17 high-rise buildings on amorphously shaped plinths, which combines high densification and urbanity with a strong identity-generating character and maximum amenity quality. 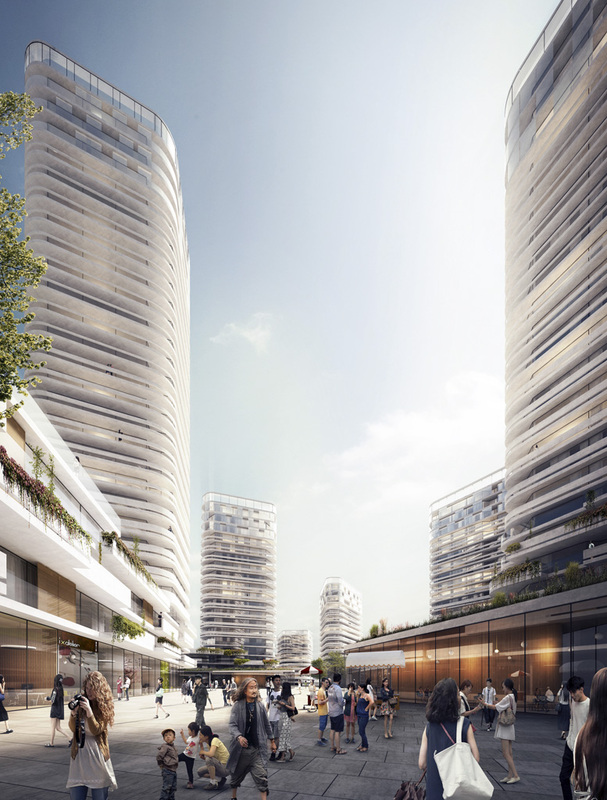 Urban-design-wise, the area connects with its surroundings through an inner boulevard. Ramifying from this artery, an intricate network of circulation routes unfolds, along which the individual built volumes are lined up. High horizontal permeability makes sure that there are no back sides to buildings. 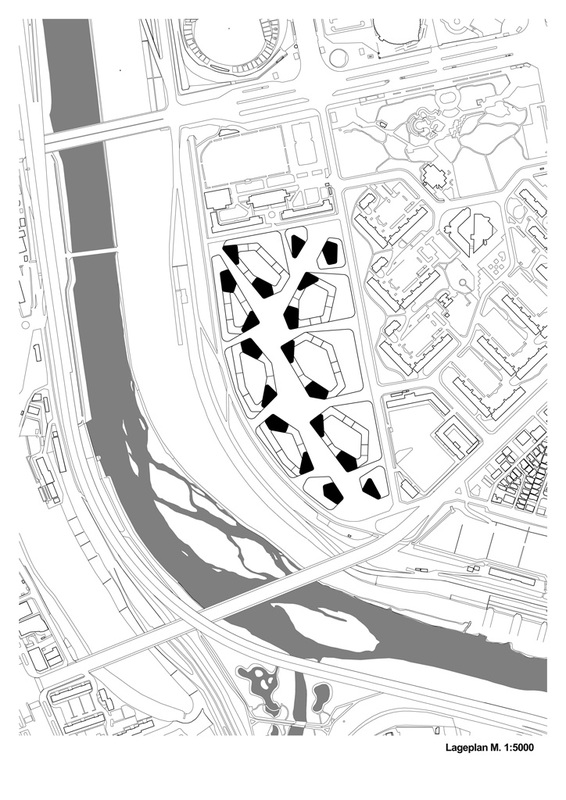 Numerous functions in the plinth-level areas that attract people provide for a vital urban atmosphere. 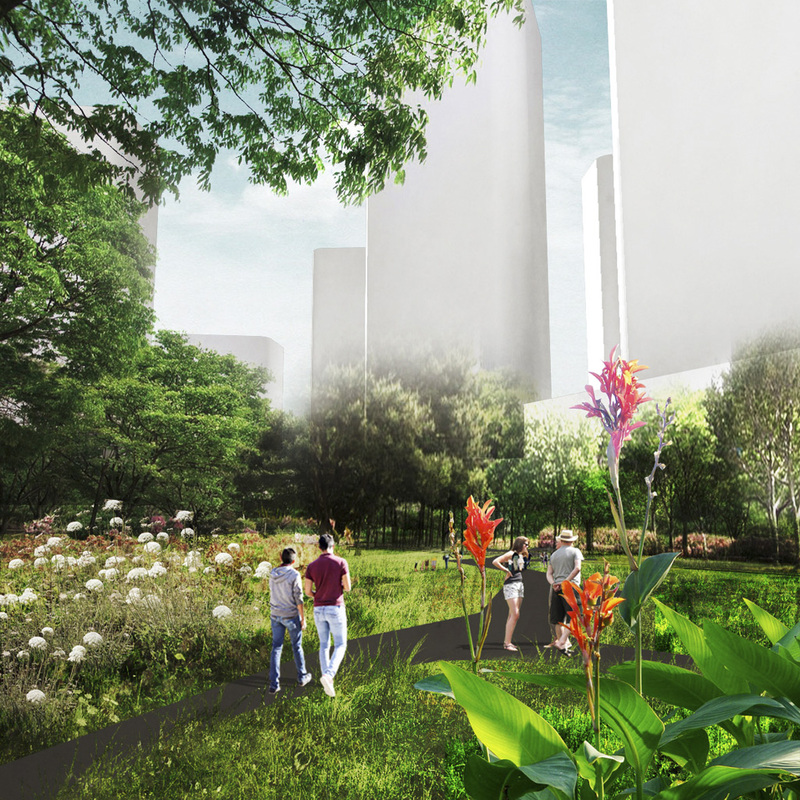 These uses are planned for in close context with public, semi-public, an private outdoor spaces and crucially contribute to the enlivening of the urban space. 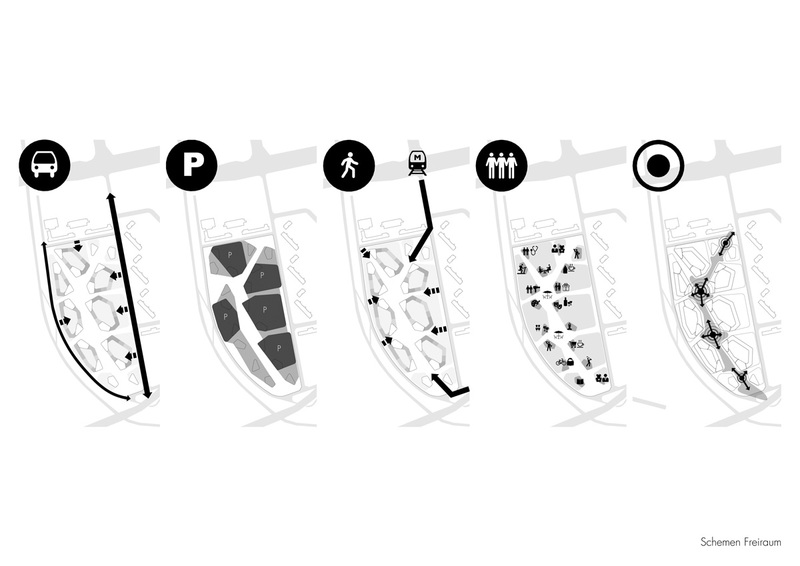 Differentiated urban spatial sequences are developed into a continuum of flowing outdoor spaces—streets, walkways, squares, courtyards, and gardens are subtly, yet precisely hierarchized according to degree of publicness, which formally also relates to the character of the site and the original river floodplain. 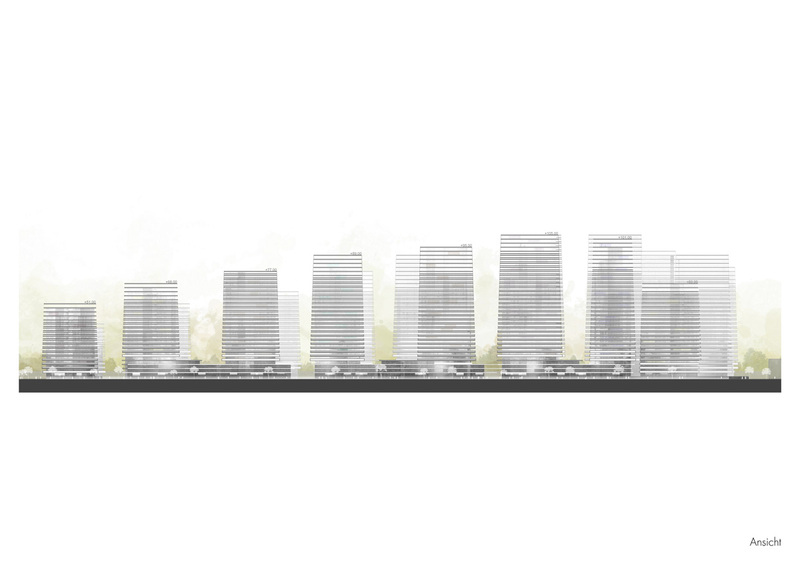 Architecturally, the new urban-design ensemble adds up to a landmark silhouette that defines the local cityscape. 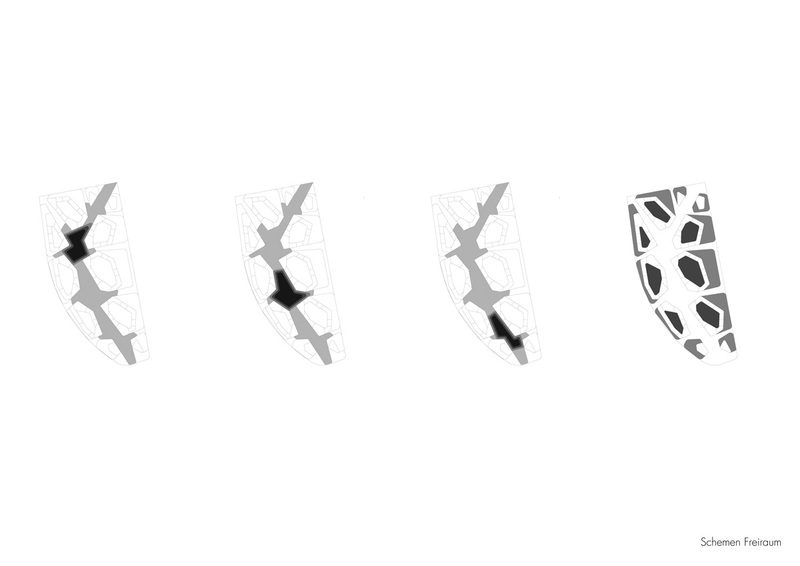 Individualized articulation and responsiveness of the buildings on the inside of the quarter strengthen orientation and addressability and create differentiated open-space qualities. While, in the plinth area, wraparound concrete parapets protect balconies, loggias and adjoining residential rooms from view, these massive strips become narrower the higher the building gets until they virtually dissolve and turn into transparent glass parapets. 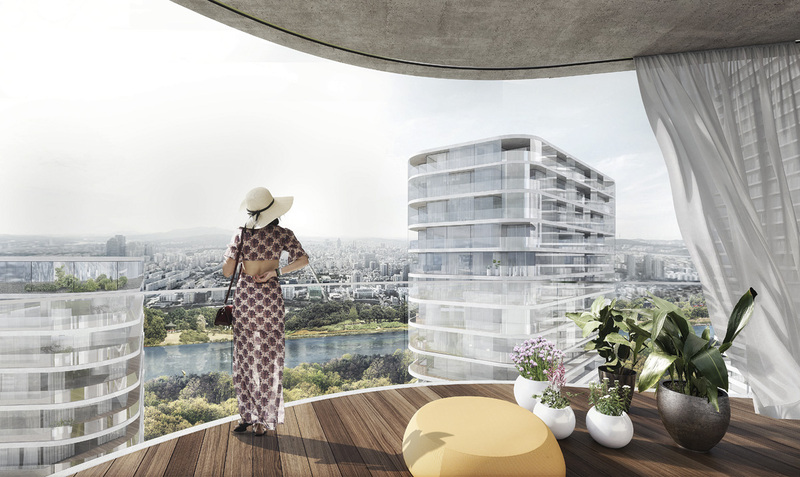 The towers thus look upwardly lighter and smoother; open spaces and ever more impressive panoramic views characterize the apartments on the upper floors. 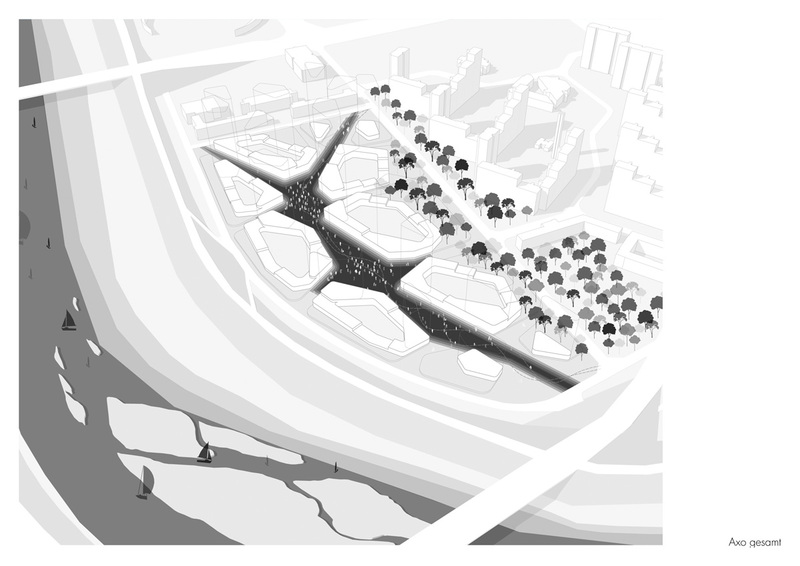 A the same time, the problems of fall winds near the ground is averted with the articulation of wraparound, horizontally projecting construction elements in the plinth area, which decisively improves the amenity quality of the public space. 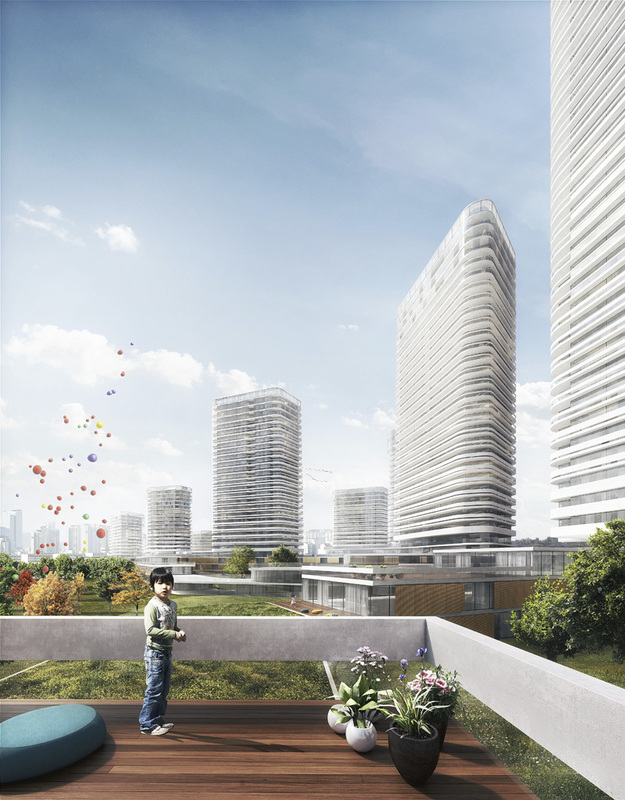 Flexible standard floor plans would, in the detail planning, also allow for smaller calibration and a more diverse mix of residential units—a potential that could be used to broaden the demographic mix. The residential spaces, which are free of load-bearing elements and fixed installations, also facilitate flexible adjustments both in the planning stage and with respect to long-term development processes. 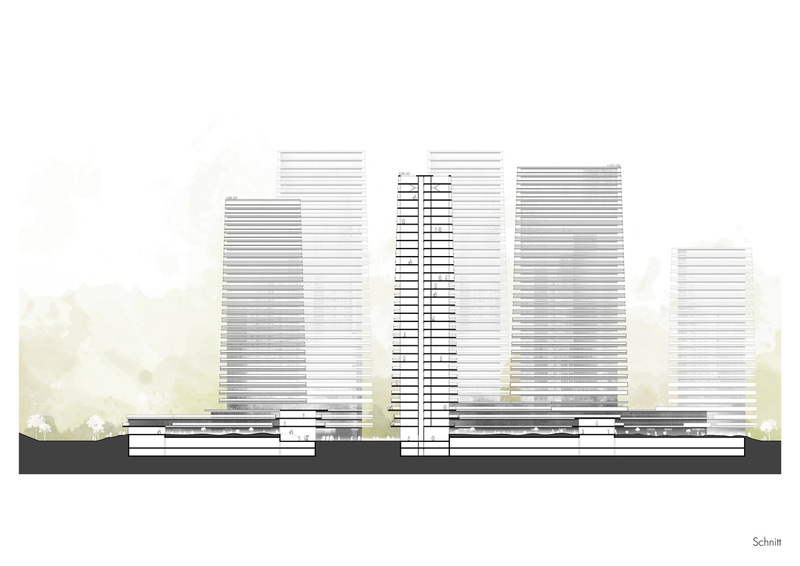 A differentiated offer of traditional and novel residential types is provided by the one to three-story plinth areas. 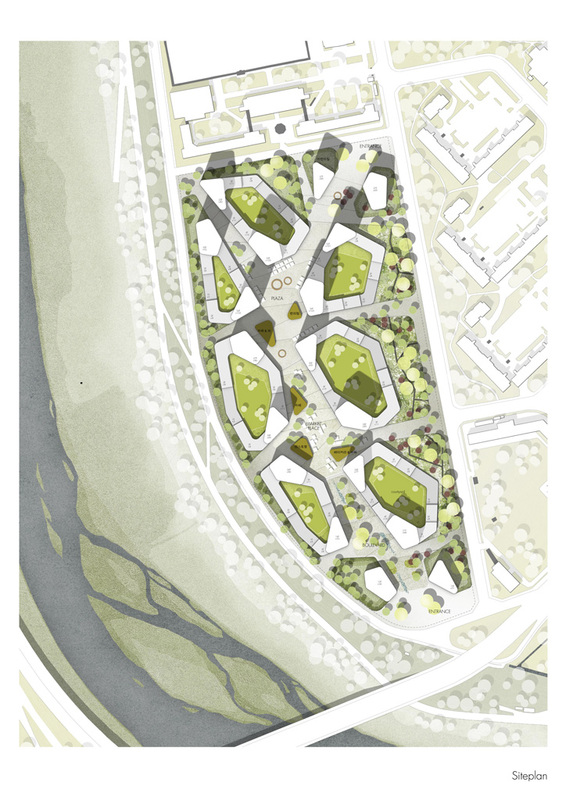 Townhouses for families with private gardens and apartments with terraces alternate with studios and microapartments for an urban and mostly younger clientele; story heights are so chosen as to ensure long-term adaptability and openness of use.